Almost Home is pleased to announce the appointment of Reona Wise as Executive Director. 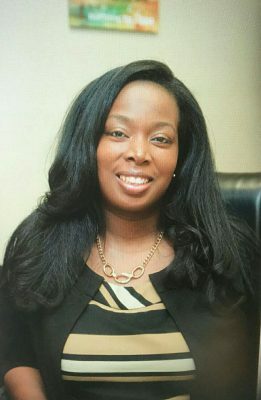 Reona has a Bachelor of Science Degree in Business Administration and a Master of Public Administration & Public Policy with an emphasis on nonprofit management from Southern Illinois University of Edwardsville. Reona has over 15 years of executive management and consulting experience in the non-profit sector, private business and state and local government. As one who feels she is compelled to serve others, Reona brings years of experience in working with undeserved communities and families in the St. Louis metropolitan and surrounding areas. She most recently served as the Vice President of Education & Youth Programs with Lessie Bates Davis Neighborhood House in East St. Louis, IL. She is an enterprising leader with an impressive history of building strong programs that address community values, driving advocacy initiatives that work, developing messages that inspire, and delivering communications that breakthrough. Reona possesses advanced skills in strategic planning, development and tactical execution of award-winning programs that fundamentally change and benefit the lives of both youth and adults. On behalf of the Members of the Board of Directors of Almost Home, we warmly welcome Reona Wise to Almost Home and look forward to working with her as she assumes her role as Executive Director. About ALMOST HOME – In 2018, Almost Home celebrated their 25th anniversary. Our mission of changing the poverty cycle is still critical today. For some single moms, their child becomes their motivation to break the cycle of poverty and build a better life for themselves and their children. Despite evolving to best meet the needs of young single mothers over the years, Almost Home’s focus has remained the same: to empower young moms to become self-sufficient and create a better future for themselves and their children. There are several ways to give – we invite you to begin a conversation about how we can work together to impact the lives of moms and their children. We welcome you to stop by and take a tour or partner with us to make a change!